Meet Ashley, our December Mom of the month! 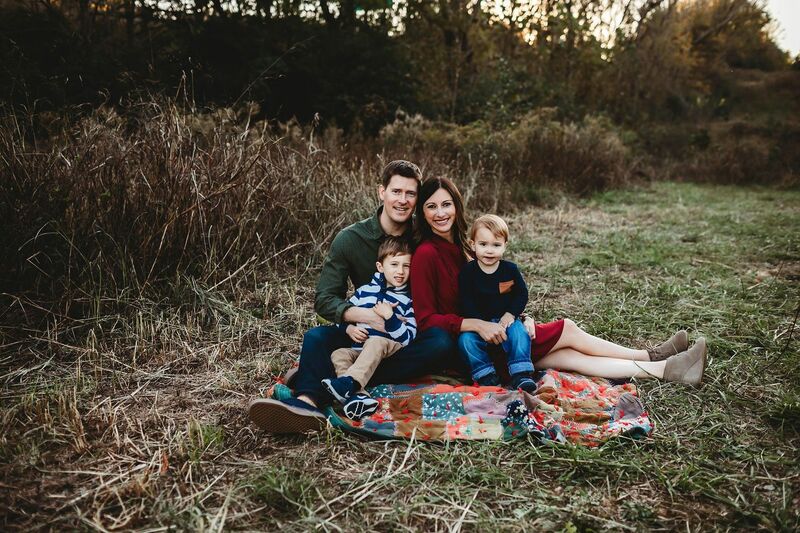 Ashley is wife to Clay and mama to two handsome boys, Ezra and Reese (who are known to break out a few stroller dance moves at class). Ashley joined Our Village in April and has quickly become a familiar face at Stroller Strides, Stroller Barre and Boost. As a working mom, we are amazed by Ashley’s dedication and attendance. She was one of the first to take advantage of our BOSS Mom Membership, which includes unlimited Stroller Strides and BOOST. Whether she's Striding or Boosting, we love having her warm and welcoming spirit in this Village. Thanks for being part of it, mama! 1. What is your fave thing about Fit4Mom? There are SO many things! But I have to say the accountability. I have made so many great friendships that it really keeps me accountable to come to class when I know I am going to catch up with my friends AND get a killer workout in. My boys are now friends with my friends' kids and that is so special. I also have complete FOMO when I see pictures and videos posted after class so never want to miss anything! 2. What is your favorite exercise at Stroller Strides/BOOST? Inch worm push-ups! I also really love the structure of a Tabata or partner class. 3. What is your favorite part about being a mom? Laughing with my kids. They are so funny sometimes and while I love the cuddling, sweet moments-- the laughing until our bellies hurt is my favorite! 4. Favorite thing to do while your kiddos are napping? Watch a non-animated Netflix show or make a Kroger ClickList (because I can't go back to life before ClickList). 5. What is your favorite thing to do as a family? Cook at home. We cook quite a bit and I love all of us being in the kitchen together. The boys get their step stools and love to help mix and pour, especially pancakes with sprinkles! 6. What is something about you that someone may not know? My husband and I auditioned for the Amazing Race when we were dating and received a call-back to make a second submission tape after they loved our first one. Turns out we are a little too boring for reality TV! 7. What is your favorite healthy and unhealthy food? Healthy - kale salad with fruit and nuts . Unhealthy - any type of super cheesy pasta. 8. What is your favorite color? Green. 9. What is your favorite song or artist? I'm a musical and show-tune lover so you'll find me listening to the Rent or Hamilton soundtracks. 10. What TV shows are you currently watching? This is Us, Grey's Anatomy (I can't quit it!) and A Million Little Things.